Safe, environmentally-friendly food packaging guaranteeing high consumer confidence is the great achievement of our FOODBOARD™ product line. This innovation from Mayr-Melnhof Karton has now been recognised with the Recyclable Packaging Award. Since mid-2017, a solution for the subject of “mineral oil migration from packaging to food” has also been available for virgin fibre cartonboard in the shape of FOODBOARD™ virgin fibre. MM Karton is the only producer with a comprehensive range across all types of cartonboard (GT1 and GT4 recycled cartonboard as well as virgin fibre cartonboard). Standard virgin fibre cartonboard or standard plastic packaging cannot prevent the migration of mineral oils, phthalates, Bisphenol A or other defined, unintended substances. Only an integrated functional barrier – as offered by our FOODBOARD™ product portfolio – represents an effective solution. FOODBOARD™ protects the food and also constitutes the best solution for the environment. FOODBOARD™ is a monomaterial – not an extruded composite or laminated compound – and therefore recyclable and bio-degradable. 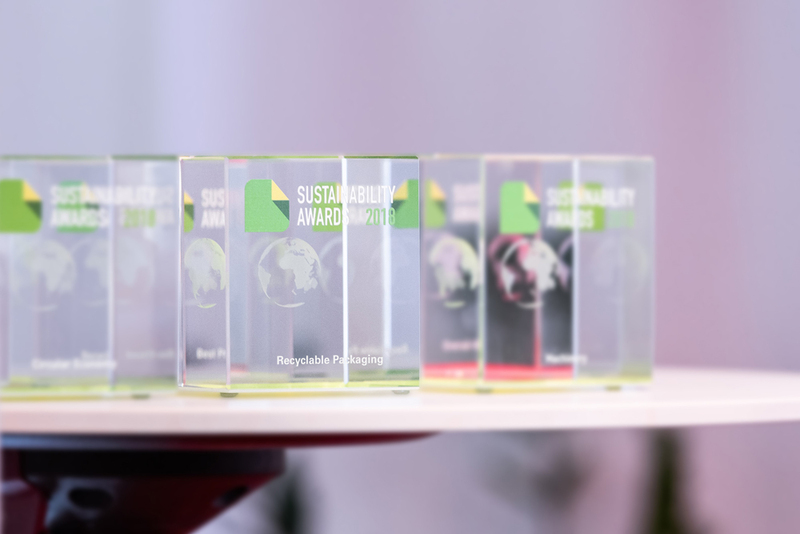 As part of its Sustainability Awards, Packaging Europe has for the fourth time in succession presented awards to companies in the paper and packaging sector which achieve the best solutions to ecological challenges. Packaging Europe calls itself the “leading intelligence resource for European packaging professionals”. The Recyclable Packaging Award recognises innovative materials or packaging solutions that are optimised from an ecological perspective and at the same time show the best recycling capability. The submissions were assessed by an independent, professional jury consisting of experts from the entire value added chain, among them Virgine Helias (P&G), Arno Melchior (Reckitt Benckiser), Bruno van Gompel (Coca-Cola Western Europe) and Kevin Vyse (M&S). The award ceremony was held in Gothenburg on 23 October 2018 as part of Scanpack. Horst Bittermann, Head of Marketing, at the official award ceremony in Gothenburg on 23 October 2018. 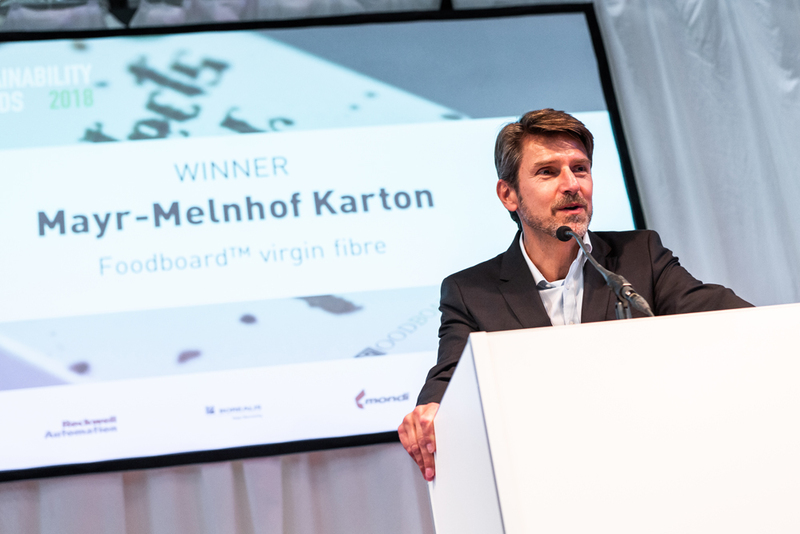 FOODBOARD™ virgin fibre won the prize in the “Recyclable Packaging” category.